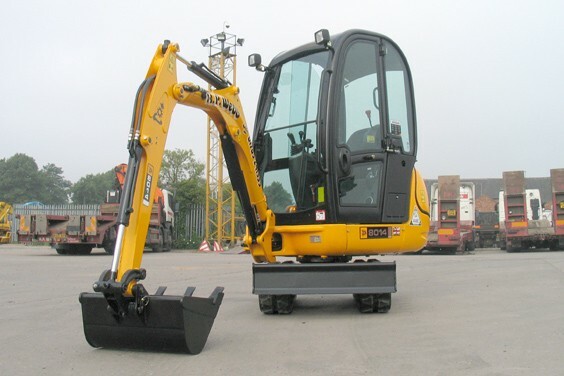 JCB – 8014 Mini Excavator « A.P. Webb Plant Hire Ltd. The 8014 is a highly manoeuvrable and versatile mini digger with class-leading performance. Robust fixed-width undercarriage with heat-treated track rollers. High-strength box section dozer blades which can withstand impacts. Class-leading lift capacity and excavation performance. Low weight allows machine to be easily towed to wherever you need it.